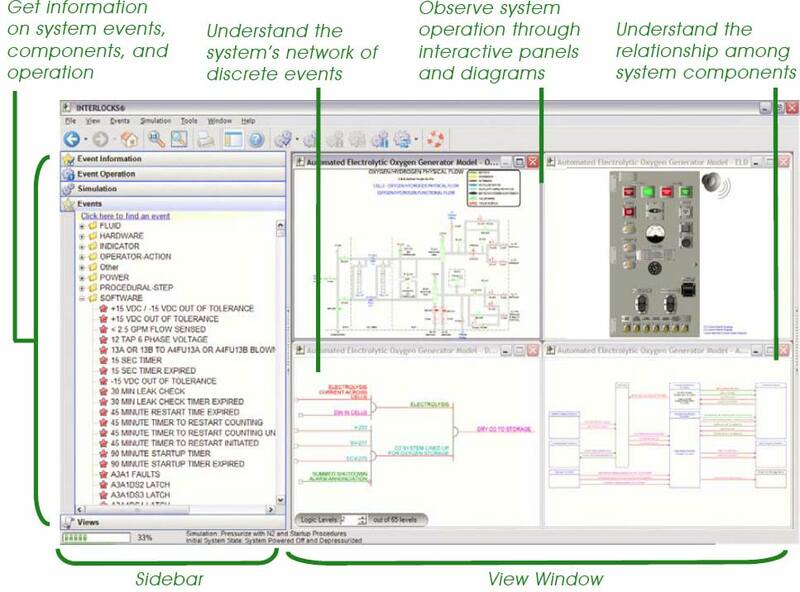 Initially developed for system and software safety analysis, INTERLOCKS has evolved into a modeling and simulation tool that supports engineering, training, and maintenance activities throughout the system lifecycle. Whether designing, analyzing, troubleshooting, or simply trying to understand how a system works- INTERLOCKS is a solution for you. Click picture above for larger version.